Adventuring around Skyrim is hard work. Fortunately The Akaviri Samurai Estate comes complete with a hot tub. Where better for Kevin VanNord to kick back after a hard day of Skyrim modding? We are proud to bring you a full set of 4 Pics One Movie Answers and Cheats. Four Pics 1 Movie is a music trivia game developed by Game Circus LLC and released on iOS and Android in 2013. The basic premise of 4Pics 1 Movie is similar to 4 Pics 1 Word in that you have four different images from which to deduce a word but this time the word is the name of a movie. I’ll be honest, when Super Mario 3D World was first revealed, I wasn’t impressed. Nintendo’s first mainline console Mario title since the Galaxy series turned out to be what looked like Super Mario 3D Land plus multiplayer and it just didn’t excite me. But as Nintendo showed more of the game, I started to see its potential. And now that I’ve played the game, I realize how much of a mistake it was to doubt Nintendo. The Big N delivered an absolute masterpiece. There’s a familiar story to Super Mario 3D World, with Bowser kidnapping something (this time fairies, not Princess Peach). Instead of Mario going at the rescue effort alone, he’s backed up by Luigi, Princess Peach and Blue Toad (Yellow Toad clearly got the shaft here). Players can choose any of the four characters to complete a level with. They all control the same but have slight differences: Mario controls the way we’ve all come to expect, Luigi’s fluttery jump gives his jumps more length, Peach can float briefly to extend her airtime and Toad can run faster than the others. Luigi and Peach are the go-to characters if a level is giving you fits, while Mario and Toad provide more of a challenge. Beyond the character choice, you probably already know how this game plays if you’ve played a recent Mario title. You’ll run, jump, swim and ground pound through various levels in a multitude of different settings, from ice and lava to hills and clouds. It also includes some additional moves from past 3D Mario titles, such as the long jump, somersault jump and spin. All of your running and jumping escapades will be done in glorious HD, bursting with color and running at a crisp 60 frames per second. The fun and joy is on full display and it even includes effects like raindrops landing on the screen during rainy levels, appropriately bright or spooky lightning and clever use of shadows in certain levels. No matter how many characters are on screen at once, the framerate never wavered on me. Nintendo may have been late to the HD party but they sure know how to use it now. A full orchestra plays the songs of the Super Mario 3D World soundtrack and it’s a pleasure for the eardrums. The songs are addictive and you’ll be humming (maybe even singing) along with the tunes even after your gameplay session has ended. The soundtrack includes many new songs as well as some older songs (such as the Super Mario Galaxy theme) given a new spin. It's about an even split between new and old tunes, but even the older ones feel different thanks to the new orchestral arrangements. One thing I've always loved about Nintendo is how they have consistently managed to stick to their roots while also evolving and switching things up just enough to make the old new again. They quite effectively demonstrated this in 2006 with their pseudo-reboot in New Super Mario Bros. - a game designed to tickle the fancy of all those wearing rose tinted goggles of nostalgia while also incorporating new elements and power-ups from more recent games to make it unique from its inspiration. Since then, I've regularly fantasized and dreamed about the idea of some of my other favorites from the 8-bit and 16-bit eras getting similar treatment, where they retain the look and feel of the original while adding new elements to make them more interesting and modern. One of those dream projects was a sequel to The Legend of Zelda: A Link to the Past for the SNES, but I always worried no game would live up to that classic; even when Iwata announced The Legend of Zelda: A Link Between Worlds on Nintendo Direct, I wasn't sold on the idea. However, now that I've completed it, I can honestly say that A Link Between Worlds is everything I hoped, and far beyond my expectations; I don't think I could have been more pleased with the results. At the start you're dropped into a familiar situation in a familiar world. Link is having nightmares of his time with the Princess, only to be woken up in his home by his childhood friend. Instantly, as soon as you leave your home, you know that everything about A Link Between Worlds is a labor of love addressed to fans of the original. The 3D graphics are crisp and a great homage to the 2D sprites they emulate, the sound effects are pitch perfect, and every single track in the score is a perfect recreation of the original, but better. Not only do you hear those wonderful tunes from the SNES era, but the quality is vastly improved. The horns are stronger, the violins have a better harmony, and every single chime, chip, or tweet is a twang at the heartstrings. This looks and sounds exactly like one would hope a sequel would look and sound, and it's glorious. Part of me worries that this is nostalgia talking – and in a way it is – but the quality is there, and there are some new tracks as well, such as a particularly creepy forest temple theme, or the final dungeon theme, both of which fit into the mood established by the sounds of Death Mountain or Misty Mire. Blend the returning tracks of A Link to the Past with modern sounds from Ocarina of Time and Wind Waker, and you have a winner on multiple levels. It only takes a few moments to get into the mood, but if you ignore the immediate and pressing urge to explore everything, you quickly head to your job at the blacksmith's, where you meet a great swordsman who is getting his blade tempered. Upon his departure, it is revealed that he forgot his sword, and you must head to the sanctuary in the north to return it to him. However, all is not well, and upon arrival you find that Yuga – The villain of A Link Between Worlds – has defeated the swordsman and imprisoned him in a painting. You confront Yuga, only to find that he does the same to you. Luckily, you escape, and in the process gain the ability to turn into a moving picture that can scuttle across walls – a skill that becomes the crux of A Link Between Worlds. If you've played the SNES prequel, you have a basic idea of the plot from this point forth: you find pendants while Yuga captures the seven sages, an act that creates a rift between the two worlds that allows you, using your new-found wall-scaling skills, to seamlessly travel between the worlds via multi-colored cracks in various walls around Hyrule. The strategic location of each and every crevasse leads to a degree of strategic teleportation and secret hunting, naturally. Disney Interactive offered five new toy boxes for Disney Infinity owners to play with this week. Two of the toy boxes are inspired by the Toy Story films: the Toy Story Claw and Toy Story Racer stages. Toy Story Claw has players searching for ten lost aliens in a claw machine, whereas Toy Story Racer takes place in a space-themed racetrack. The other new Disney Interactive-created toy boxes introduced this week are Big Thunder, inspired by the Big Thunder Mountain attraction at Disneyland, as well as Sky Gauntlet 2 and The Sky Trials. Disney Infinity recently received new characters, including Wreck-It Ralph and Tangled's Rapunzel. Toy Story's claw machine among five toy boxes added to Disney Infinity originally appeared on Joystiq on Fri, 29 Nov 2013 23:30:00 EST. Please see our terms for use of feeds. It looks like Namco Bandai's summer trademark binge was merely the first phase of trademarking, as the company trademarked two new Tales names: Tales of Asteria and Tales of Kanade. So far, we've seen other Tales trademarks turn into new projects or rumored projects. Tales of Link was announced as a mobile title, Tales of Bibliotheca was announced for iOS and Tales of Zestiria has been trademarked in the US and Europe, suggesting it will be the next mainline Tales title. Whichever name the new Tales title goes by should be revealed soon as a teaser site exists for the game. Buried in the Beach Bum DLC for Grand Theft Auto Online is a smattering of audio files that hint at possible future DLC packs, including mentions of spying, a camera phone upgrade, racing for pink slips and casinos. The audio files were picked up by YouTuber Franken Stein and shared with NeoGAF by Allenous. There's no word if these audio files are part of something larger, but listening to the disparate, nonsensical voices reminds us of all the family meals we're having this holiday weekend. 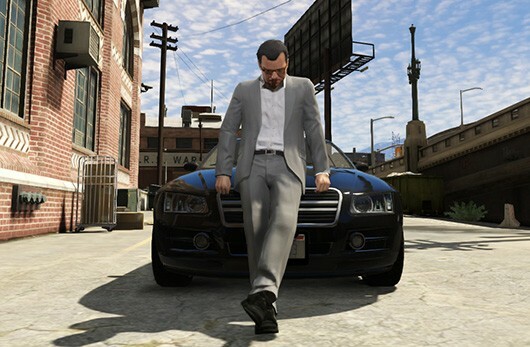 Grand Theft Auto Online hidden audio files divulge possible DLC originally appeared on Joystiq on Fri, 29 Nov 2013 21:30:00 EST. Please see our terms for use of feeds. Atlus announced Persona 5 for the PS3 this week as well as a spinoff for the 3DS, we go through the highs and lows of the Xbox One launch and rumors of an open-world Star Wars game from EA surface! Neverland, developer of the Harvest Moon spinoff series, Rune Factory, has filed for bankruptcy, the company announced on its official website (via Siliconera). The company cited changing business trends and unsuccessful fundraising efforts in its decision to seek bankruptcy and close its doors. Neverland has been developing the Rune Factory series since its inception, and its latest release, Rune Factory 4, was the fastest selling title in series history in Japan. The company had said last year that Rune Factory 5 was in the works, but the fate of the title is certainly in doubt now. In addition to Rune Factory, Neverland is also known for developing multiple titles in the Lufia and Shining Force RPG series'. Update: Sony has temporarily disabled the option to redeem vouchers through PlayStation Network in a bid to ensure a smoother service. "To minimise the inconvenience we have suspended the 'redeem voucher' functionality whilst we investigate further. Unfortunately this means that money cards, product vouchers, PlayStation Plus vouchers, PS3-PS4 upgrade vouchers and any other vouchers for digital content are not redeemable at this stage," said Sony. "Other PSN features such as log-in, online multi-player gaming, PlayStation Plus trial, PS Store (excluding voucher redemption), trophies, messages, friends etc. are all available." Original story: PlayStation Network in Europe has collapsed under the weight of users attempting to connect their new PlayStation 4 consoles to the service, following the launch of the machine in the region today. The service is struggling to cope with the traffic generated by the amount of people returning home from a day at work/school armed with the new console. The same thing happened when the machine launched in the US earlier this month. "We are aware some users are experiencing issues logging into PSN on PS4 due to the heavy traffic we are receiving, we're investigating," said Sony on the PlayStation Europe Twitter account. Sony attempted to lessen the potential outages yesterday by disabling the What's New and Content Information screens on PlayStation Network in Europe, but Twitter and the Sony forums are currently awash with tales of people unable to connect. One of the main things people will be looking for is the initial update for the PlayStation 4, which enables many of the machine's services and features. Anyone looking to manually install the machine's day one update can do from Sony's site, provided they have some USB storage handy. The 1.51 update weighs in at 308mb, so any stick made in the 21st century should suffice.